Originally from France, Catherine Dossin received a Master’s degree with Very High Honor from the Sorbonne with a thesis devoted to André Derain and The Return to Classicism, 1880-1940, and a Ph.D. from the University of Texas at Austin. Her dissertation entitled The Stories of the Western Artworld, 1936-1986, uncovered gaps between the US, French, German, and Italian accounts of postwar art, and tried to interpret these differences and explain how one particular view came to prevail as the story of Western art. She was the recipient of research grants from the Getty Research Institute and the Terra Foundation for American Art. Purdue Libraries awarded her two Scholar Grants, while the Office of the Vice President of Research at Purdue University founded her research through an Enhancing Research in the Humanities and the Arts Grant, and a Global Research Synergy Grant. In 2014, she was Professeur Invitée for four months at the Labex TransferS in Paris. Professor Dossin has been at Purdue since fall 2008. She teaches courses on modern and contemporary art in the United States, Europe, and Latin America, with an emphasis on the relationships between art, culture, and politics. Other areas of expertise include transatlantic dialogues, women artists, and historiography. Her methodological approach combines close attention to the material objects with comprehensive examination of the socio-economic and cultural context. With her students, she organized several art exhibitions and digital projects, including story-maps using ArcGIS software and online exhibitions on Omeka platforms. In September 2007, the Division of Instructional Innovation and Assessment of University of Texas presented her with their inaugural Graduate Student Instructor Award. In Spring 2015, she participated to Purdue’s Impact program, which aims at fostering greater student engagement and student competence. Over the past years, she was invited to teach courses at the University of Sciences and Technology in Beijing, the University of International Studies in Shanghai, and the Ecole normale supérieure in Paris. Dr. Dossin’s research pertains to the geopolitics of the art world, the history of art history, and cultural transfers in the 20th century. Her work has been published in Woman’s Art Journal, American Art Journal, Visual Resources, The Artl@s Bulletin, MODOS Revista and several edited books. 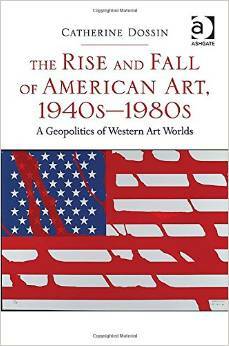 In her book, The Rise and Fall of American Art, 1940s-1980s: A Geopolitics of Western Art Worlds (Routledge, 2015), Dossin challenges the now-mythic perception of New York as the undisputed center of the art worlds between the end of World War II and the fall of the Berlin Wall, a position of power that brought the city prestige, money, and historical recognition. She reconstructs the concrete factors that led to the shift of international attention from Paris to New York in the 1950s, and documents how “peripheries” such as Italy, Belgium, and West Germany exerted a decisive influence on this displacement of power. As the U.S. economy sank into recession in the 1970s, however, American artists and dealers became increasingly dependent on the support of Western Europeans, and cities like Cologne and Turin emerged as major commercial and artistic hubs—a development that enabled European artists to return to the forefront of the international art scene in the 1980s. Dossin analyzes in detail these changing distributions of geopolitical and symbolic power in the Western art worlds—a story that spans two continents, forty years, and hundreds of actors. Her transnational and interdisciplinary study provides an original and welcome supplement to more traditional formal and national readings of the period. Interested in the study of artistic circulations and the geography of art, Catherine Dossin is a founding member and Vice Director of Artl@s, a research project launched in 2009 by Béatrice Joyeux-Prunel at the Ecole normale supérieure de Paris (ENS-Ulm), with the support of the Centre Nationale pour la Recherche Scientifique (CNRS) in Paris, and since 2013, in partnership with Purdue University. Artl@s develops and publishes a worldwide database of exhibition catalogues from the 19th to the 20th century. With its cartographic and analytic tools, the database aims at decentering sources, perspectives, and narratives, as well as building bridges between artistic geographies. Structured around its seminar and journal, Artl@s also holds training workshops on digital and transnational approaches. The group regularly organizes international conferences on global and social art history. Dossin serves as the Editor of the Artl@s Bulletin. In order to present Artl@s, and its methods, Dossin and Prunel have organized colloquia and conferences in France and the United States, including The Spaces of Arts (Purdue University, 2012), Global Art History and the Peripheries (INHA Paris, 2013), South-South Axes of Global Art (ENS, Paris, 2015) and published articles. They also co-edited a volume on Global Artistic Circulations and the History of Art with Thomas DaCosta Kaufmann (Ashgate, 2015), in which they argue that what is at stake in the project of global art history is not only equal treatment of all visual production, but a unified approach. 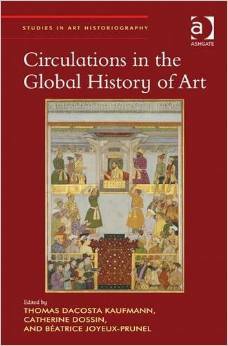 Shifting the discussion of global art history back to questions of transcultural encounters and exchanges, this volume expresses the conviction that the study of circulations represents a strategy for writing a history that highlights connections among cultures, which moreover responds to the dynamics at work in the current globalized art world. Catherine Dossin served for several years as the President of EPCAF (European Postwar and Contemporary Art Forum), a professional association that brings together art historians from all over the world working on European art. In this context, she edited the volume France and the Visual Arts since 1945: Remapping European Postwar and Contemporary Art (Bloomsbury, 2018). 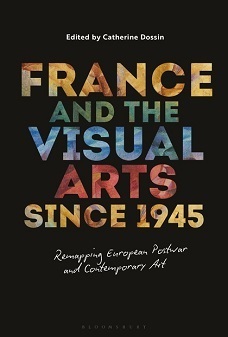 Taking on the myth of France’s creative exhaustion following World War II, this collection of essays brings together an international team of scholars, whose researches offer English readers with a rich and complex overview of the place of France and French artists in the visual arts since 1945. Addressing a wide range of artistic practices, spanning over seven decades, and using different methodologies, their contributions cover ground charted and unknown. They introduce greater depth and specificity to familiar artists and movements, such as Lettrism, Situationist International or Nouveau Réalisme, while bringing to the fore in ways much deserved lesser known artists and groups, including GRAPUS, the Sociological Art Collective, and Nicolas Schöffer. In a partnership with Artl@s and AWARE, Dossin is now working on a large international research project focusing on group exhibitions of women artists, WAS (Women Artists Shows.Salons.Societies). The ambition is to build a descriptive and analytical catalogue of these exhibitions from the end of the 19th to the end of the 20th century and to start reflecting on their specific history, through the study of the evolution of the social, cultural, and institutional conditions that permitted or made them necessary through the analysis of the various levels of mediation and organization at work in these shows, or also through the examination of their symbolical functioning and critical response.